I assume you mean that the system is less fun for you as a fan. From the passenger point of view, having modern low-floor trolleybuses will be seen as an improvement. And from Muni's point of view, the ETIs had become unreliable, so maintenance will go down with a new fleet. You are confusing the ETIs and the New Flyer trolleybuses. The ETIs were built in the early 2000s and are coming to the end of their service life. Essentially they were a Czech Skoda trolleybus but built in the USA to meet Buy America regulations. Your reference to "three years ago" is presumably talking about the New Flyer trolleybuses. There are three batches: - 60ft Articulated XT60 #7201 to #7260. Delivered in 2015 - 60ft Articulated XT60 #7261 to #7293. Delivered in 2018 - 40ft standard length XT40 #5701 to #5885. Delivery began in 2018 and should finish by the end of 2019. I keep on saying to our photographers/video guys: get out there photographing/filming the ETIs while you still have them. They'll probably be gone by the end of the year. I wasn't criticising you, I quoted you and then added a point. I'm not sure why you are upset by my post. I am tired of seeing ignorant journalists writing articles like "the first electric bus ...etc. etc.." in trolleybus or ex-trolleybus cities. Is your comment about trolleybuses being a minority correct yet? There are just under 1000 trolleybuses (ETBs) in US and Canada. How many battery buses (BEBs) are actually in service on transit systems (exclude airport shuttles etc.) yet? It may be a year or two before the BEBs currently on order actually overtake the ETB population. In Motion Charging (IMC) has become the norm for trolleybuses ordered in recent years in Europe. It has given the use of trolleybuses a whole new lease of life, enabling system expansion at relatively low cost, conversion of diesel routes to electric and some new systems are on the way e.g. Prague. Trolleybuses with IMC represent a significant segment of the total electric bus market. The situation is different in N. America. In the USA the joint order for trolleybuses for Seattle and San Francisco specified IMC, but so far the use of the off-wire function seems to be confined to diversions etc. rather than permanent extensions or route conversions. Here's an example from San Francisco, where routes 30/45 will be running on battery on 4th Street until construction work finishes. http://www.sfmta.com/blog/3045-lines-return-stockton-and-4th-streets It would be good if some N.A. systems saw the possibilities of using trolleybuses with IMC, but the media and political atmosphere in N. America is quite different from Europe and the agenda is dominated by uncritical support for 100% battery buses. There is heavy marketing and no doubt political lobbying behind the scenes. In a way it is good that BEB systems are being inaugurated on a larger scale, as this will demonstrate both the strengths and the limitations of 100% battery buses. One would hope that over time the market will sort things out and that pure BEBs and trolleybuses with IMC will each be used for the applications for which they are best suited. Which isn't entirely correct for another reason too: Battery buses aren't the only type of electric bus - fuel cell and trolleybus are electric buses too. ETS previously had 100 (electric) trolley buses and Vancouver has ~ 270 . It is an uphill battle to get journalists to understand this. In addition to the points by other posters, I remember from one of the recent Translink Budget reports that they are spending several million dollars renewing the substations supplying power to the southern end of the 19. They wouldn't be doing that if they had any intention of dieselising the 19. I suggest you read the article that I linked. I guess the first trolleybus will arrive fairly soon - the people from Kiepe Electric presumably paid a visit for PR and publicity purposes. And I would guess the buses will arrive steadily, say 2 buses per month. You would still need, say, 12 BEBs to replace every 10 diesel or trolley buses previously used. Your point about drivers switching buses sounds fine in theory but I'm not aware of it actually being used on any BEB route worldwide. On the other hand my point about charging delays & disrupted schedules has occurred in cities as different as Cologne and Moscow. Another point is that in some countries the driver is required to be present to supervise charging for safety reasons. Does anybody know what the law in Canada is on this point? Yes but this just illustrates one of the potential downsides of battery electric buses which I and others have been making. It's likely that more buses will be needed to operate the same level of service. More buses = extra capital costs and extra operator costs. That gets us back to why it is important to do this test on a reasonably busy route, so that Translink can identify all the issues in real life. It would be interesting to see how well the BEBs will cope with all day runs. In theory the availability of chargers at the end of the line should mean that there is no range problem. But experience in other countries indicates there can be problems with charging downtime. Example: Because of traffic congestion the BEB arrives 5 minutes late. Does the driver take a 5 minute charging break and leave 10 minutes late? Or does he just turn around immediately with a low battery? 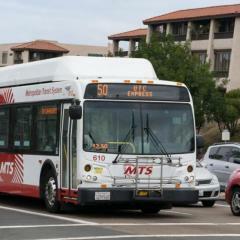 What is the current peak bus requirement for route 100? I assume that the increase to 10 battery buses will mean a substantial part of the service will be provided by the BEBs. It will be interesting to see how the BEBs and diesels interact on the same route. Is a cost given for the additional buses? I've got an update on the trolleybus fleet. According to a transit magazine, by mid January over 100 New Flyer XT40s had been delivered and 90 had been accepted and were in service. Meanwhile only 120 ETIs remained in service. I would estimate that the ETIs will be gone by the end of 2019. So get out there filming!